Fall, spring, and summer are ideal times to enjoy relaxing out on Pewaukee Lake and warming up next to a crackling fire afterward is a wonderful feeling. While you enjoy the fire, your chimney experiences a slow buildup of soot which can lead to chimney damage and uncontrolled chimney fires. Regularly cleaning a chimney is the only way to prevent these hazards. 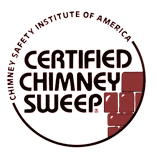 Wisconsin Chimney Technician’s team expert Pewaukee chimney sweeps will thoroughly clean your chimney and rid it of build up soot. A clean chimney vents smoke efficiently and keeps your chimney healthy and intact. By relying on our chimney cleaning service specialists you can be sure your Pewaukee chimney is ready for use in all seasons. Cracked and damaged chimneys require immediate attention to prevent a small defect from becoming a major problem. Wisconsin Chimney Technician’s team of superior Pewaukee chimney repair specialists will repair the minor damage your chimney has sustained, returning it to like new condition. Because brick and mortar have small pores on their surface they are susceptible to water damage. Water lodges in the pores and expands when it freezes, pushing the brick apart and causing cracks and damage. 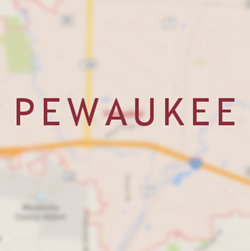 Contacting the Pewaukee chimney rebuilding and repair specialists at Wisconsin Chimney Technicians is the first step towards returning your chimney to normal. The mortar holding your chimney bricks together wears down over time as well. Worn out mortar will chip and crack allowing moisture to seep in. When water permeates the mortar’s surface it expands and forces the mortar to crack further. Tuck pointing is the act of repairing and replacing the mortar between your bricks to restore your chimney to ideal conditions. The new mortar repels water while improving structural integrity and the overall appearance of your chimney. Contact the Pewaukee chimney repair specialists at Wisconsin Chimney Technicians for expert and prompt chimney tuck pointing services. With each load of laundry your dryer vent slowly fills with lint and must be cleaned annually to avoid issues. Clogged vents impede airflow and force your dryer to work harder than normal and use more electricity. The lint in your vents can also become a fire hazard in extreme conditions or when the vent becomes totally blocked. Regular dryer vent cleaning and regular inspections are the best way to prevent these issues from occurring. Keep your family safe and your energy bills down with an annual cleaning from the Pewaukee dryer vent cleaning specialists at Wisconsin Chimney Technicians. 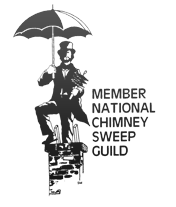 Contact the premier Pewaukee chimney sweeps at Wisconsing Chimney Technicians for expert chimney cleaning, inspection, and repair services.